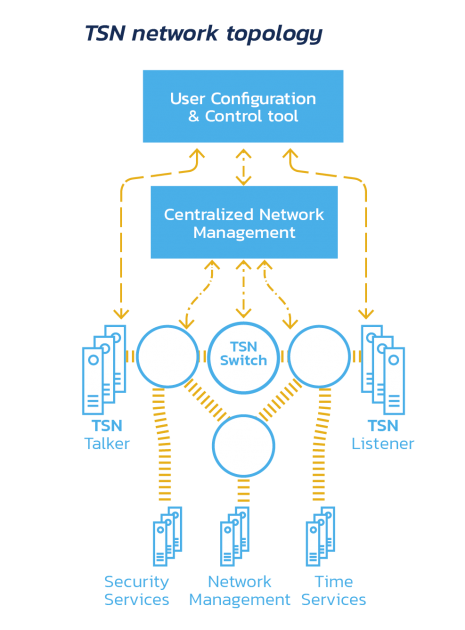 Time Sensitive Networking (TSN) is able to merge OT and IT worlds and would be an outstanding forward step to really ensure interoperability and standardization. An effective development of these technologies shall offer a significant cost reduction in equipment, maintenance, seamless integration of advanced analysis services and a reduction of dependence on a single vendor. Taking into account this functionality, three basic traffic types are defined: Scheduled traffic, Best-effort Traffic and Reserved Traffic. Scheduled Traffic type is appropriated for the hard real-time messages, and the Best-effort Traffic is the general Ethernet traffic that is not sensitive to any other Quality of Service metrics. The Reserved Traffic type is for frames allocated in different time-slots but with a specified bandwidth reservation for each priority type. RELY-TSN-PCIe is the first out-of-the-box solution for TSN that allows seamless implementation of deterministic Ethernet networks and abstract user equipment and applications from these technical complexities. 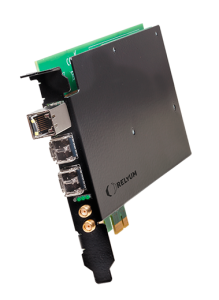 This device combines in a single equipment PCIe TSN Endpoint and TSN Bridge functionalities and provides 3 external fiber or copper tri-speed Ethernet ports. As an Endpoint, it offers the possibility to introduce TSN technology in the device where it is hosted, enabling a seamless integration in a deterministic and time aware network. These key features make RELY-TSN-PCIe platform the most reliable and multipurpose networking device for critical environments.